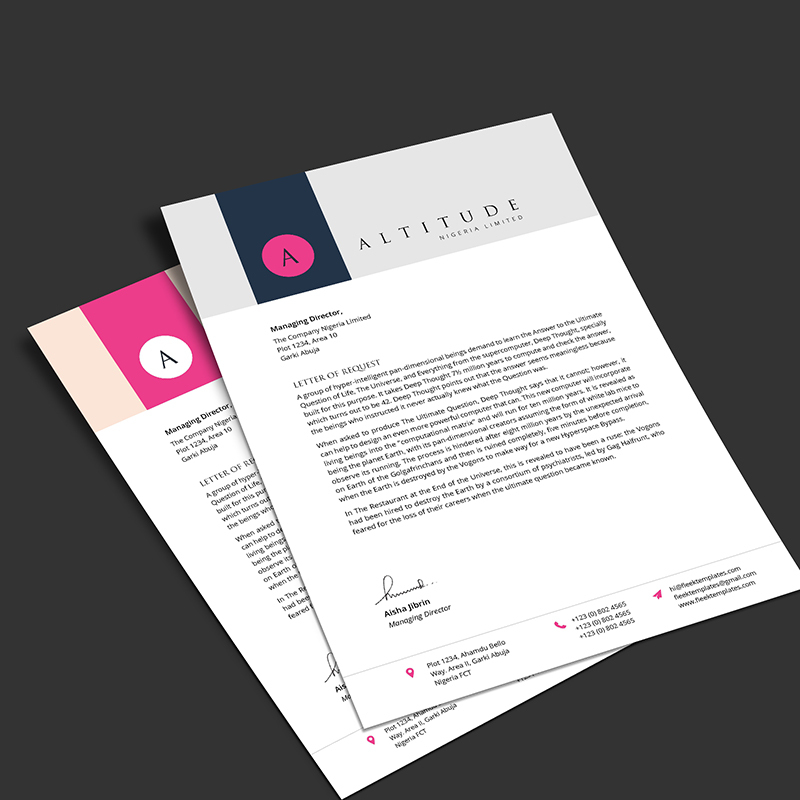 A Simple, minimal and professional letterhead template (A4 size) suitable for all types of businesses. Comes in 5 different professional business colors. 100% editable in Microsoft Word. Change the colors of shapes and icons to any color of choice, resize and rearrange however you want right within Microsoft word. 5 Different colors with options to change to any color of choice. 100% Editable in Microsoft Word. Free 30+ editable Logo shapes for quick logo creation.